A thirty minute walk or a five minute drive takes you to the world famous Pont du Gard, the 2nd most visited tourist site in France. 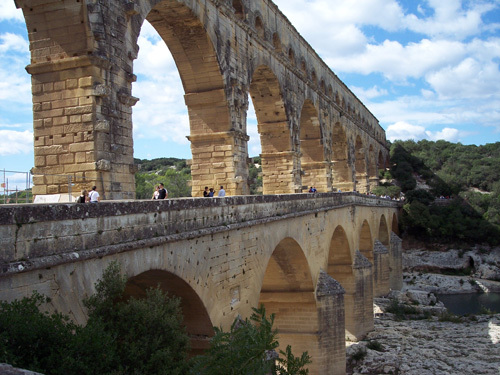 Though it looks like a bridge, and was long used as one, the Pont du Gard is an aqueduct completed in the first century A.D. by the Romans to provide water to the ancient city of Nimes. The engineering of this marvel is so precise, that modern computer aided design could not improve on the construction. 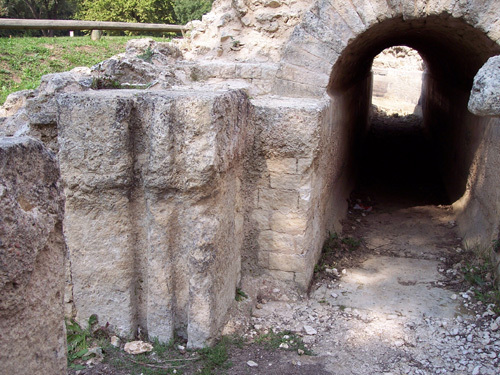 The aqueduct that carries water to Nimes over the Pont du Gard actually starts in Uzes in the Vallee du Eure. 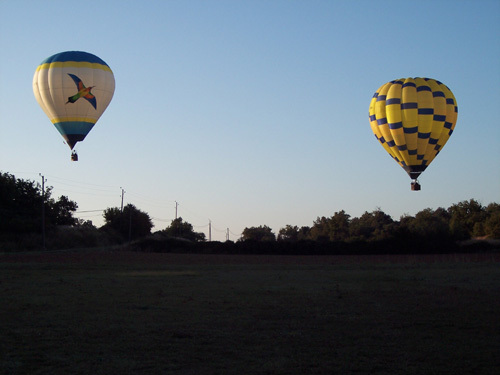 It winds around the hills for nearly 50 km on its way to Nimes. 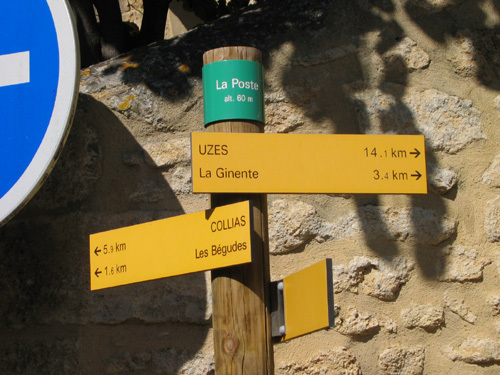 A fun walk is to follow the source of the aqueduct in the Vallee du Eure through a lovely park in Uzes. 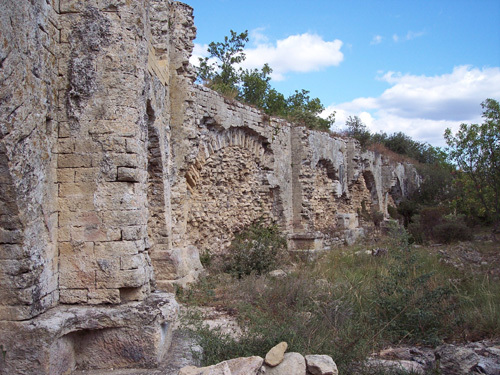 An easy walk from Vers follows the aqueduct as it winds through the garrigue (woods) to the Pont du Gard. 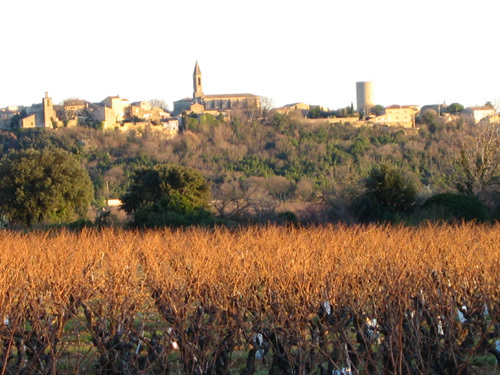 Castillon du Gard is a lovely, well restored hilltop village in the heart of the Cotes du Rhone wine country. 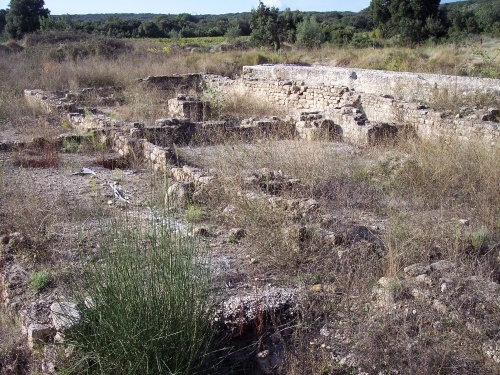 It is located just to the north of the Pont du Gard. There are good restaurants and a cafe with the BEST coffee in the area. 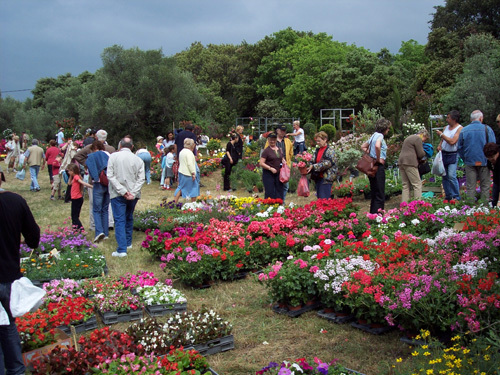 In May, a wonderful flower show, sponsored by the regional newspaper, is held in the nearby village of Vallerargues. Is there a better way to spend a lazy afternoon than floating down the Gardon River? 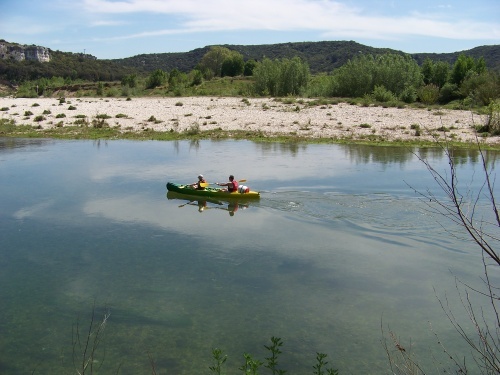 A leisurely trip from nearby Collias under the Pont du Gard can include a swim in the clear water and a picnic on the shore. 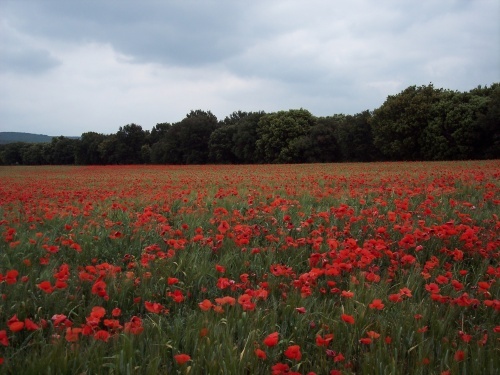 Summer blooms, like these poppies, are everywhere in the area. This sea of inviting blossoms is common, and many roadsides and stone walls are also festively dressed for summer. 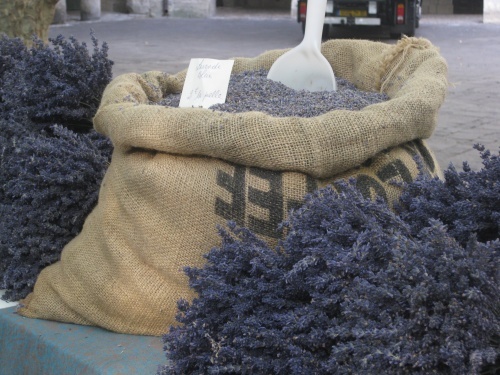 Late Summer brings the unforgettable fragrance of Lavender; whether by the bunch, bag or distilled.